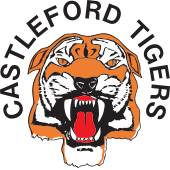 Dave Furner had his first loss inflicted by Castleford Tigers, who claimed the GR Electrical Cup with a 24-26 victory at Emerald Headingley Stadium. New signings Trent Merrin and Konrad Hurrell made their first appearances in blue and amber alongside Tui Lolohea, who had debuted against Wakefield on Boxing Day. Kallum Watkins also returned to the starting squad in his testimonial match following an ACL injury he suffered against the Tigers in last season’s Dacia Magic Weekend clash. An early score from Castleford’s Michael Shenton looked to have upset the occasion, beating youngster Harry Newman and Kallum Watkins on the outside edge to open the scoring. But Leeds would bounce back with Kallum Watkins fittingly scoring. After back to back penalties, Leeds stretched the Castleford line and receiving the ball, Watkins broke the tackle from Shenton and stretched out to score. Lolohea was unlucky with the conversion, as Leeds brought the score to 4-6. Rankin, playing in his first match for the Tigers, provided danger with the boot. Kicking a bomb out towards the left wing, James Clare collected and scored to push the Tigers lead out to six points. Clare would double his tally thanks to a quick passing move putting the winger in to score again. As Leeds attempted to get out of danger, the Tigers proved too clever. This time, Trueman chipped a ball out towards Clare who batted the ball back for Junior Moors, who had come off the bench, to score in the corner. A late try from Adam Cuthbertson put Leeds back in contention. After Richie Myler was stopped over the line, a kick by Tui Lolohea was collected and passed to the prop, who touched down next to the posts. Lolohea converted making the half time score 10-18. Leeds started the second half in the perfect style. 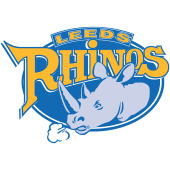 As Castleford turned over possession, the Rhinos moved the ball to within five metres of the line and on the fifth play, a grubber kick from Lolohea was pounced upon by Harry Newman who touched down. Castleford bounced back with Alex Foster taking a short pass to score in the corner. But the Rhinos closed the scoreline again through man of the match Ash Handley. As the kick off rebounded off the crossbar, Leeds were the first to react, taking the ball to the line. As the ball moved left, a quick short pass by Konrad Hurrell put the winger over to make the score 18-22. After McShane snuck in the corner to extend the Tigers’ lead again, Leeds were offered a lifeline. With substitute Moors losing the ball in the tackle, Leeds were allowed to progress towards the tryline. Hurrell, who made a stand out debut at right centre, turned provider again for winger Handley to score his second of the game. In the final 15 minutes of the game, Leeds searched for a winner. A break by Hurrell from a Leeds scrum was supported by Myler, who was caught on the Tigers rushing defence. Jamie Jones-Buchanan dropped the ball short of the line. As the full time hooter sounded, Castleford had inflicted a first defeat to Dave Furner’s side; the final score 24-26.